Answer: That’s a great question, and a complete answer will take some time. First thing we need to define is how high up you have to go to “be” in space. The accepted definition is 100 km (about 65 miles). The X-15 exceeded that altitude briefly on several flights back in the 1950-60s, and the pilots were thereafter qualified to wear an official astronaut patch on their uniform. 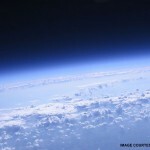 The view from that altitude is stunning, with 99.9999% of the atmosphere below you, and the blackness of space above. Click on the thumbnail below to experience that view. You don’t see any stars in that image, since the camera would have overexposed the Earth if set to record stars. But to the human eye, which is sensitive to a far wider range of light levels, the stars would be visible. This is the view promised by the private space tourism industry. Plus, passengers would be able to experience weightlessness for 5-6 minutes and float around the cabin like you see astronauts doing on the ISS. When Galileo’s 1610 telescopic observations confirmed that the Moon was a “place” with mountains and valleys similar to Earth, the race to get there began (at least in fiction). There were several novels written in the following decades suggesting exotic means of propulsion. The main graphic above shows the method envisioned by Francis Godwin in his novel The Man in the Moone, published in 1638. Godwin used a “team” of swans (powerful fliers) to hoist the rider skyward. At that time, it was not known how high the atmosphere extended, so it seemed a plausible scheme. 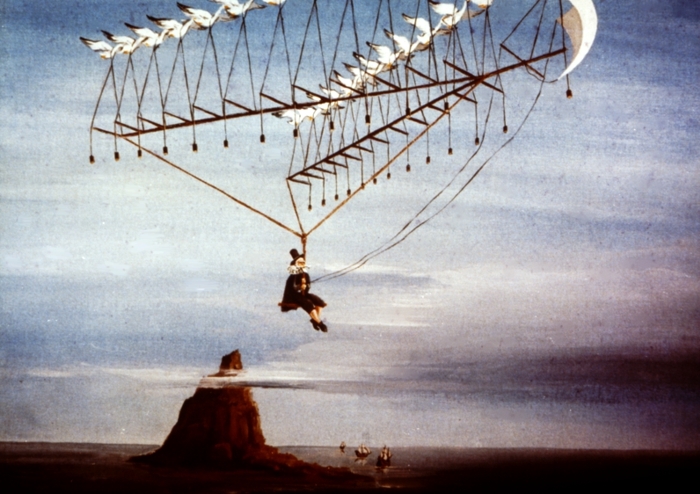 Other authors suggested propulsion by anti-gravity, electrostatic levitation, and even a balloon gondola surrounded by a ring of conventional gun powder skyrockets. Of course, all those schemes suffered from significant scientific flaws. It’s worth noting that NASA’s Advanced Space Transportation Program is investigating ways to get the launch cost down to a few $100/kg by 2025, and maybe as low as few $10/kg by 2065. But that will still use rocket technology. So to answer your question, I’ve listed below some of the other possibilities being investigated. Some “cheat” by still using rockets, but they do so in a way that brings the ticket cost down. Balloon drop launch (aka “rockoon”): If the spacecraft is launched from a balloon, as has been demonstrated with smaller payloads, launch costs drop dramatically. 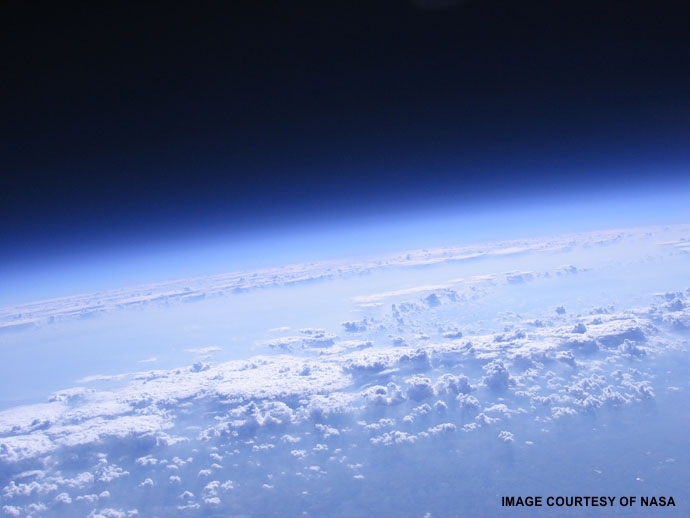 The highest altitude reached by a balloon is 53 km, at which point 90% of the atmosphere is below you. Cost for a launch from 53 km would be around $500/kg, but payloads to date have been small sounding rockets. The system is scalable, however multiple balloons would be needed to lift a passenger craft. A permanent large-scale ground-tethered balloon-based stratospheric launch platform was in fact proposed by Gerard K. O’Neill in 1981. Aircraft drop launch: This is a strategy similar to rockoons. But the spacecraft is lifted to launch altitude by an aircraft, which has a lower maximum altitude compared to balloons. However, in this case, the payload is already moving close to 1000 km/hr (650 mph). In the case of the Orbital Sciences Corporation’s Pegasus II launch system, the Pegasus II is lifted to an altitude of 9.1 km by a 4-engine Stratolaunch aircraft. Cost is about $10,000/kg, but the system is already operational and capable of lifting a small passenger craft. Unfortunately, OSC is not in the tourism business, and we’ve still got a rocket involved in the process. Rail gun: Now here’s where we finally get away from rockets entirely. The rail gun uses electromagnetic forces to accelerate the payload to a sufficiently high speed to reach space propelled by its own momentum. When it leaves the “barrel” it will need a speed in excess of 10 km/s. Atmospheric drag decelerates it on the way out to space, and it needs about 5 km/s of its speed remaining to stay in LEO. The technology is being investigated by the US Navy. You can see a video of a test firing here. Current models require accelerations higher than a human could survive, but the system is scalable and accelerations could be reduced to tolerable levels by building a sufficiently long gun. Cost to LEO is estimated to be around $500-600/kg. Space elevator: This idea goes back to Arthur C. Clarke in his 1979 book The Fountains of Paradise. The space elevator is literally a cable strung between Earth and a geostationary satellite 36,000 km overhead. Of course, such a cable needs to be capable of supporting its own weight, even without a payload. No known material meets that requirement, but it has been suggested that carbon nanotubes might be the solution. If and when such a cable can be “strung” it then becomes a matter of just hoisting the payload into space like a normal elevator lifts its payload. Only an electric motor is required. But there are so many many technical hurdles involved, it’s unlikely to be built in this century, if ever. Still, it’s an intriguing idea and perfectly compatible with the laws of physics. Moon base: This is hedging on the question asked, but I’d be remiss to not mention it. When permanent bases are established on the Moon (not if but when), the occupants will already be in space. On the airless Moon, space goes all the way down to ground level (compared to 100 km altitude on Earth). Launching into orbit from the Moon is much easier than from Earth. Gravity is only 1/6 that of Earth, and there is no air drag, so a conventionally fueled rocket launch becomes cheaper still — possibly by a factor of 100. And there’s abundant solar energy available continuously to power rail guns, which is another possibility being discussed. Certainly the view would be worth it. 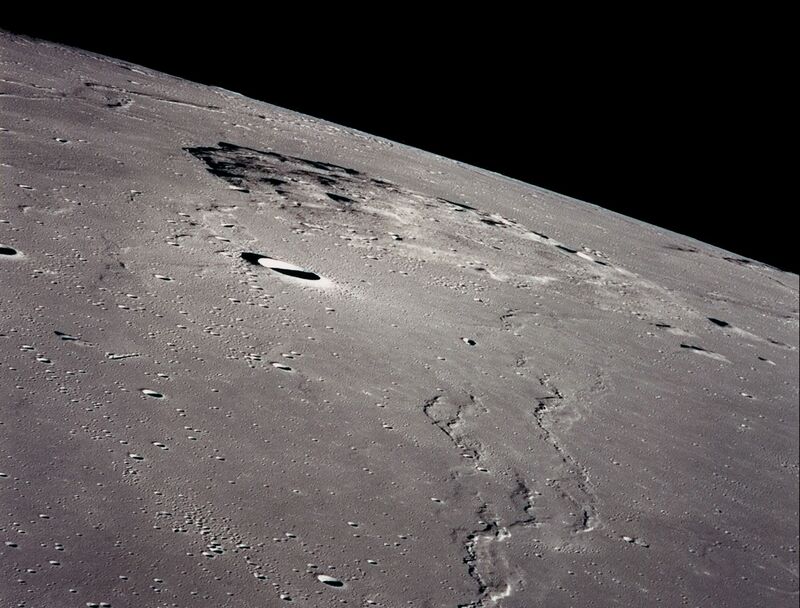 You wouldn’t see oceans and clouds, but you’d have a grand view of (in Apollo 11 astronaut Buzz Aldrin’s words) the “magnificent desolation” of the lunar surface. The view would be something like this or this (both from NASA Apollo missions). What you’d see would really depend on how you select your orbit, and unlike on Earth, that can be well under 100 km in any direction. There are more exotic systems proposed, but I’ve limited my answer to those technologies capable of scaling up to human passenger spacecraft, and within reach using known or developing technologies. Space tourism will never be cheap, at least for the foreseeable future. But my money is on the current competition between private companies for cheapest-to-orbit technology. And there’s more than just Virgin Galactic in the race. Many of these companies see the demand for space tourism, and are working to make that a reality within the decade. Even at $250,000/ticket, thousands of people have already paid their deposits and are anxious to take the ride. Prices will drop as the industry evolves, technology improves, supply and demand increase, and competition drives the market for paying customers. By the time space tourism becomes routine, prices should be about the same as a cruise around the world — around $20,000/ticket.